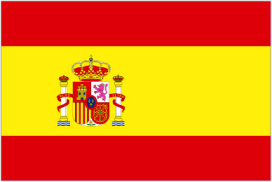 MADRID, Spain – The latest statistics on bicycle manufacturing published by the Ministry of Industry, Tourism and Commerce, reflect growth in Spanish manufacturing compared to 2011. 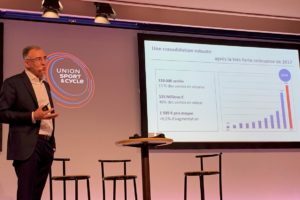 At the 4th Spanish Congress of the Bicycle, held in Barcelona last October, Iñigo Isasa, President of the Spanish Association of Cycle Manufacturers and Distributors (AMBE), said that the Spanish cycle sector is living in an “oasis” compared with other sectors, with the upward trend that has been recorded year after year. 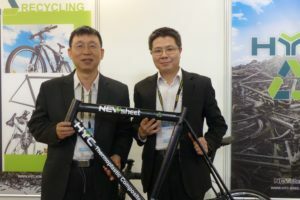 2011 showed the highest production volume of 403,526 units since 2005, which recorded a production of 408,000 bicycles. 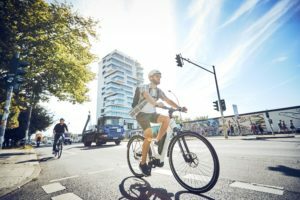 This increased volume in 2011 is 1.38% more than in 2010, when it stood at 398,017 units and reflects a slight improvement in the Spanish bicycle market, and suggests a good sense of recovery and stability in a sector which is currently not heavily affected by the economic crisis. The Ministry of Industry has released provisional data of the bicycle manufacturing during to the first four months of 2012. The figures show a production of 108,779 units, which means a decrease of 1.42% over the same period last year. In terms of value the decline was greater, from €15,725 million between January and April 2011 to $15,009 million euros in the first quarter of this year. These data show a continuation of the fall in value suffered in 2011, when the overall decline was 15%. In the full year 2011, however, production in units experienced a slight increase of 1.38%. In volume, April was the month most regressive in 2012, with a decline of 34.39% in units manufactured in Spain to 27,223 bikes over the 41,495 of April 2011.However January 2012 was the most dynamic, with growth of 49.86%, to 21,614 bikes manufactured, compared to 14,423 in the same month in 2011. In February production amounted to 20,994 bikes, representing an increase of 11.16% compared to 18,886 last year. In March, on the other hand, the volume rose to 38,948 manufactured bicycles, 9.59% more than the 35,540 bikes in 2011. Therefore, the first quarter of 2012 showed growth, but April’s recoil caused a negative balance for the entire quarter. 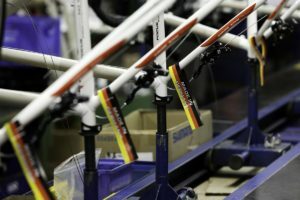 In value terms, the production of bicycles between January and April 2012, totaled €15,009 million. This amount represents a decrease of 4.55% over the same period in 2011 (€15,725 million). The decline in value for the first quarter of 2012 continues the trend of 2011, from €65,077 million in 2010 to €55,542 million, representing a decrease of 14.72%. In one COLIPED-COLIBI report, Spain built in 2010, 300,000 bicycles, while the data of the Ministry of Industry give a figure of 398,017 bicycles. 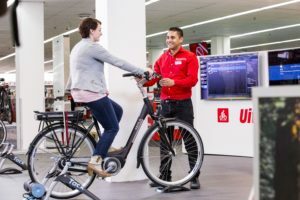 In terms of sales, COLIPED-COLIBI report has 800,000 bicycles sold in 2010, but this figure does not have the sales figures of the largest seller of bicycles in Spain, Decathlon.